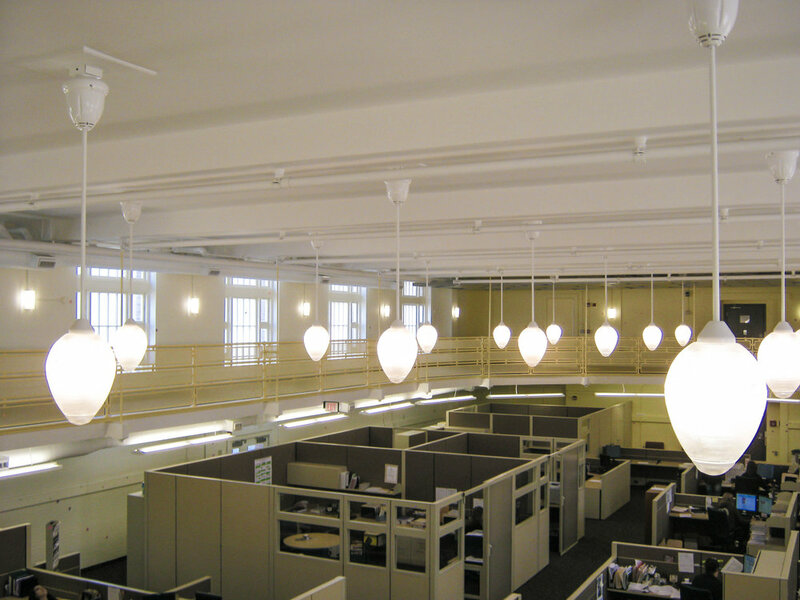 HKT performed a study which examined renovation options for the Art Deco North Wing Academic Building using sustainable design as a guiding principal to update and reconfigure the facility for the College’s new Engineering, Science and Technology Center. The building was also being redeveloped as the new “front door” to the entire campus and the home of a new one-stop enrollment services center. A former parochial school, the building’s unusual double-height gym and chapel spaces presented significant architectural and engineering challenges. 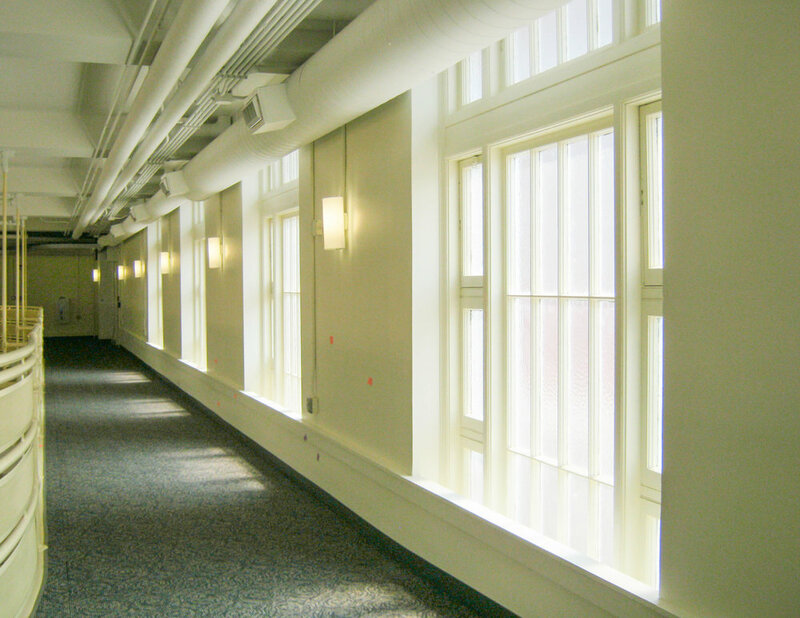 While funding options for the larger renovation were considered, the client chose to proceed with some interim improvements to the North Wing building to meet some immediate program needs. The two-story space on the lower level of the Building was originally designed as a gymnasium with a suspended running track. The space had been neglected for many years and issues with water infiltration had resulted in mold growth and poor air quality. HKT completely redesigned the space to create a vibrant administrative suite for Administration, including private offices, a variety of open workspaces, and meeting rooms. One specific challenge in this project was the need to include access to this partially below-grade area. A concealed lift and egress ramps to the exterior met this demand. 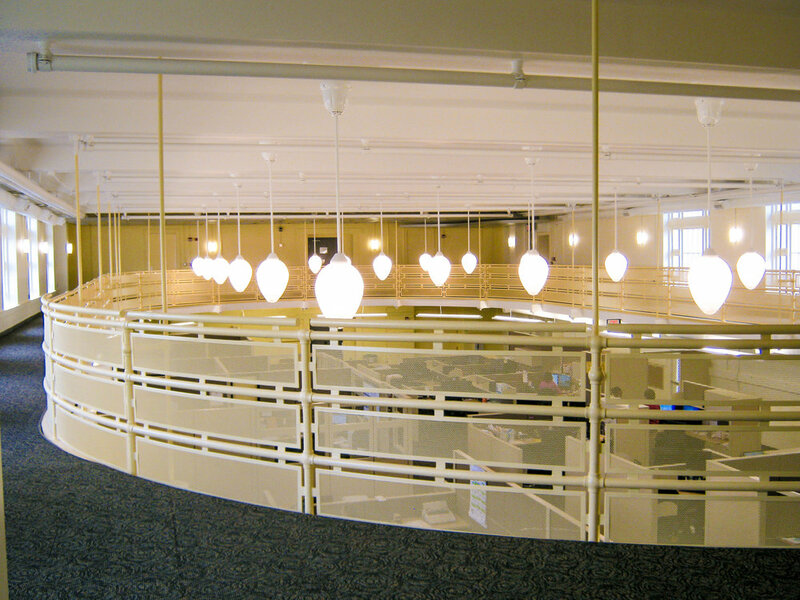 An open floor plan furnished with systems furniture and an under-floor power supply achieved the college’s operational goal for future flexibility.